The LEEPS program supports welding instructors at every level – from junior high school to technical college and beyond. Lincoln Electric has announced its newest education initiative – the Lincoln Electric Education Partner Schools (LEEPS) program. 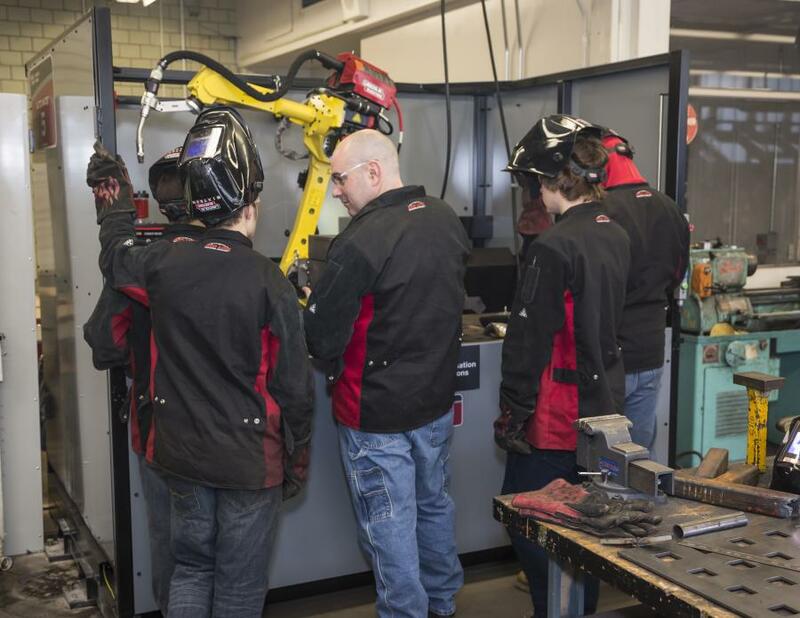 This multi-tiered program supports welding instructors at every level – from junior high school to technical college and beyond. At each level, participating instructors may obtain Lincoln Electric qualifications and other benefits by meeting specific program requirements. In addition, schools that meet key requirements may become Authorized Training Facilities, authorizing the school to run Lincoln Electric seminars. LEEPS keeps instructors current and relevant within the welding industry by integrating a professional development system into the program. This provides value to both instructors and administrators at participating schools. The LEEPS program is divided into multiple tracks, which target instructors that focus on a particular mission or student profile. Track 1 is for welding instructors whose students are primarily in the exploratory phase of learning how to weld. This track targets schools and instructors at the introductory, junior high and high school levels, as well as agricultural programs. Track 2 takes schools and instructors past the exploratory aspect of welding and into the area of career development and advancement. It addresses the needs of many high school and career center instructors and programs, covering career pathways issues as well as career development. Track 3 continues with career development and focuses on advanced manufacturing and processes. The program is typically tailored to the needs of community colleges and technical colleges. Schools that meet all requirements of Track 3 may apply to become a Lincoln Electric Authorized Training Facility, which authorizes the school to run Lincoln Electric Training Programs in behalf of the company. Lincoln Electric has been helping to build a highly skilled welding workforce for more than a century and is dedicated to developing a cadre of qualified welding instructors who will usher in the next generation of highly skilled welders. The LEEPS program is the next leap forward in this ongoing mission. Instructors, administrators and industrial trainers also can join the Lincoln Electric education community by subscribing to the First Pass™ newsletter, which delivers the latest information and updates, including curriculum and training materials, as well as education news.